The hype man: the guy whose sole purpose is to hype someone or something to others. Get them excited. Get them ready. Get them “hyped.” I once went to a talk by KRS-ONE with Moo where he spent 20 minutes explaining the necessity of having a hype man. Said you can’t make it without one. Said the hype doesn’t have to be true; someone just has to hear it. The thing is, no one ever really wants to be the hype man, right? Everyone wants to be the guy getting hyped, not the one running around doing the hyping. But the hype man has played a crucial role in rap history, with hype men being chosen by fate to be the wingmen that have helped some of raps biggest names land the proverbial prettiest girl at the dance. Artists/hype men like Memphis Bleek and Flava Flav have been hyping someone (Jay-Z) or something (NWA) their whole careers, making it a career. But I know in the back of their minds, these hype man have always wanted to one-up whatever they are hyping. Flava had “Flava of Love.” Bang, instant B-List stardom. Bleek had his verse on “Is That Your Bitc*?” Come to think of it, Robin even got with Poison Ivy. “Growing Pains” off Ludacris’ best album, Word of Mouf, is one of all my all-time favorites. A song about growing up, and the trials and tribulations that come with it, this jamandahalf is 4 minute and 49 seconds of reminiscing about the good times and the bad. About being a kid and being blissfully unaware. About getting older and wanting it all. 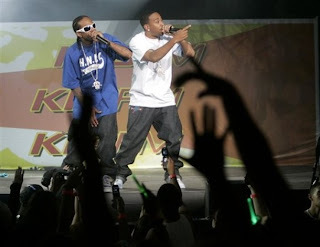 Over an effortlessly smooth beat, Luda and Lil’Fate tell us about coming up as a kid in Atlanta. Lil’ Fate who? Yea, Lil’ Fate, Luda’s hype man, takes this chance and kills it, dropping two verses of storytelling genius. For this one song Lil’ Fate is the man. And what a song it is.